Shayna Ogden is the Director of Ballarat Iyengar Yoga. At 28, she discovered Iyengar yoga and has been studying and practicing it for 20 years. Shayna is a certificated Iyengar Yoga teacher (Senior Intermediate Level 1). Ballarat is indeed lucky to have a teacher at this level. I have had the privilege to study under Shayna for the past 8 years. As you may have guessed … Vriksasana (or tree pose) is my favourite. Iyengar yoga is characterised by precision and alignment in performing the asanas as well as the duration for which they are held. Props may also be used such as blankets, bolsters and belts to facilitate alignment and support in the asanas. Am I selling it to you? I hope so! 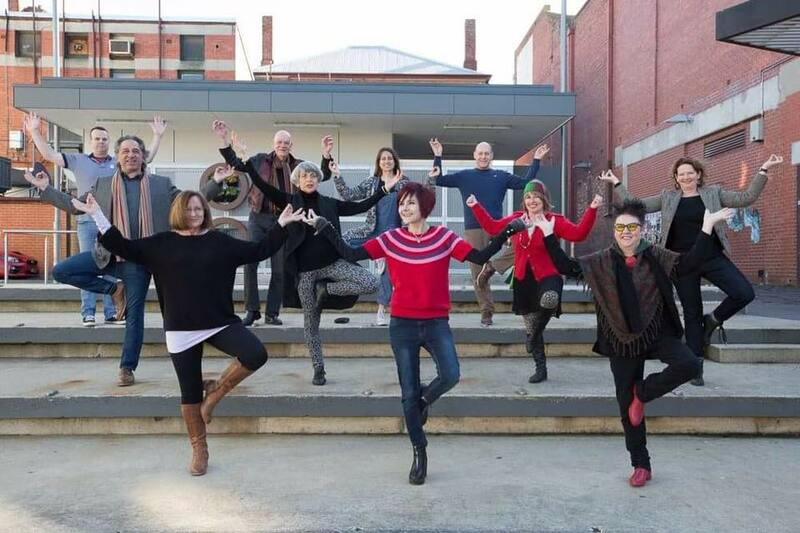 This year’s tree pose at the Ballarat Art Gallery to celebrate National Tree Day. Ballarat Iyengar Yoga and Fifteen Trees have joined forces to plant 100 trees together. At one end these trees will reduce the carbon footprint of the yoga studio, at the other they provide biodiversity to the planet and habitat to our native wildlife. The trees were planted at Alexandra, Vic as part of a 4 year project. The aim is to enhance existing vegetation and improve the water quality in the creeks that run through the district. Supporting those who are looking after our native environment.